SELLect specializes in performance focused sales training, sales management training and sales consulting. We provide in-depth support for companies focused on creating exceptional sales performance and building rockstar sales organizations. An intense one day crash course in sales best practices. A great place to start if you are new to sales or a seasoned pro looking to refine and improve. Also available at $599! Weekly classes designed to reinforce effective sales process, provide real-life role plays and advanced tactics. Includes the SELLect Jump Start Course and SELLect one-on-one Coaching. We provide customized corporate sales and sales management training programs to address your company’s needs. Sales management training and mentoring allows a real-time transfer of sales management competencies in a collaborative approach which is focused on your company’s objectives. SELLect Sales has a proven track record of helping companies improve their sales performance by developing and implementing sales processes and solutions that produce accelerated results. Our sales assessment process has been developed specifically for sales professionals and identifies key sales attributes, behaviors and motivators. 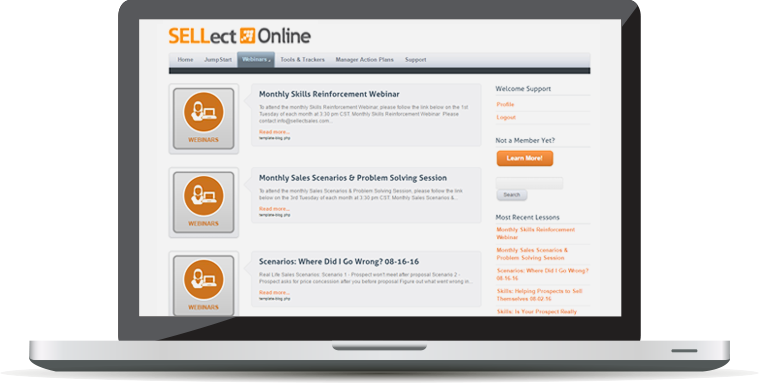 The SELLect online sales training program that teaches you how to SELL more, SELL faster and SELL smarter! You get access to the complete SELLect Sales Selling System which teaches you everything you need to know about finding prospects, qualifying opportunities and closing deals. It’s sales training on demand, on your schedule! Train when you want. Train where you want. Shortly after launching a company designed to grow through a selective acquisition strategy, we engaged Amy to build, manage and develop our sales team. Within four years we had a very successful exit, with the acquiring company attributing great value to our sales culture, discipline and results. Without question, I credit the bulk of that to Amy’s efforts and will be forever grateful to her for the impact she had on our valuation. - Carey Balzer | CEO/Founder White Glove Technologies, now mindSHIFT Technologies, Inc.
Amy is one of the most talented and capable advisors I’ve ever worked with. Her ability to identify high performance sales people, combined with her experience in training these individuals to reach even higher levels of success is remarkable. Working with her has transformed my business and made my life so much easier. 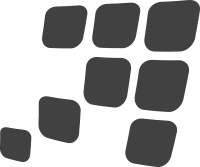 - Pete Monfre | CEO, Clarity Marketing Support, Inc. I asked Amy to speak to our “C” level business finance Meetup group recently on the topic of top attributes of high performing sales people. Amy Hardin has to be one of the most dynamic and energetic public speakers in Austin. Her presentation was 100% on target. She clearly understands the profile of highly effective sales people (she calls them “revenue rock-stars” and knows how to explain it to “C” level execs as well as train sales people to achieve their highest level of performance. Amy is an amazing sales trainer. She has extensive experience in both selling and sales training. She has not only knowledge, but context from which she gives relevant examples for any sales situation. She is entertaining and fun to work with. She is a master at using the right training approach for the right topic so that her students both learn and retain what she teaches. Amy is a great listener and fantastic motivator. She truly understand the human heart, mind and spirit. She was able to help me discover core-level barriers that I could not see in myself. Her insights were a breath of fresh air and a solid boost in my self-confidence. I started seeing bottom line benefits from working with Amy almost immediately. She is knowledgeable and sharp, and her sales system is practical, realistic and completely comprehensive. I would recommend her without reservation to anyone looking to shorten sales cycles, improve close ratios, and add to their bottom line. In my many years in businesses, from Fortune 50 firms to venture-funded startup companies, I have observed professional sales training provided by a number of outstanding organizations, from industry leading internal sales training courses to top external sales training consultants. Amy Hardin is by far the most knowledgeable, skilled, and effective person I’ve met in sales training. Through her company, SELLect Sales Development, Inc., Amy provides outstanding training for sales professionals and for those who lead or manage sales professionals. Amy delivers the skills and knowledge to make an immediate, measurable impact on a sales organization. I’ve had the pleasure of working with Amy nearly non-stop for the last 5 years. It’s difficult to articulate just how good Amy is. She simply can’t be stumped when it comes to sales challenges, and always has a solution that you’ll feel comfortable applying. The level of integrity and ethics that she brings to every one of her interactions is beyond reproach. It’s truly an honor to call Amy a friend, and she is more than worthy of my highest level of recommendation. Amy is truly an expert in her field. This is apparent in her depth of knowledge, skills, and experience in sales development. Not even 24 hours after taking her course, I was able to modify my current approach and apply my newly aquired skills to deliver an effective proposal meeting. Her course brought clarity which illustrated a roadmap to achieve greater personal and professional success. Amy’s curriculum can transform a business! She’s helped me get clear on my “Ideal Client Persona” so that I can be more targeted and effective when prospecting for leads. She’s also given me very effective strategies to position myself as a trusted advisor for my clients. I’m very grateful to Amy for helping me grow my business development skills, and my business! I’d recommend Amy very highly for anyone that wants to get better at finding prospects, closing new customers and growing their business. Because of Amy, I learned how to sell my engineering services and to enjoy marketing myself. I am so thankful that Amy has taught me so much, I will always be thankful. - Matt B. Phelps, P.E., R.S.